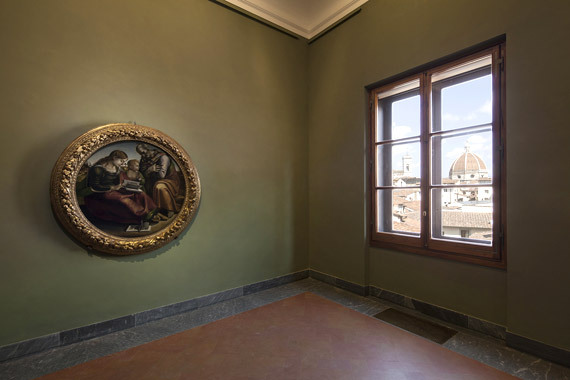 Starting Tuesday, September 15, visitors to the Uffizi Gallery will appreciate the new set-up of Halls 25 through 32, finally reopened to the public after several years of renovation works. The rearrangement of these rooms has been made possible thanks to a substantial donation by the Salvadore Ferragamo company, which was founded in Florence, and has permitted the recovery of this section which is one of the oldest parts of the Uffizi, where the Medici foundry and the arsenal were once located in the 16th century. 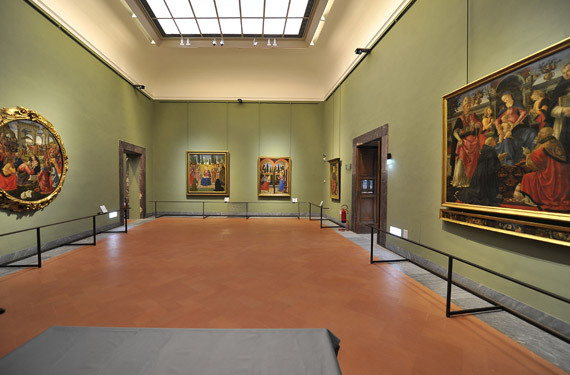 Before the renovation, these halls housed paintings by 16th century Florentine, Venetian, Emilian and Lombard painters, whereas now they are dedicated to painters from the late 15th century with works by Baldovinetti and Ghirlandaio (Hall 25), Cosimo Rosselli (Hall 26), Pietro Perugino (Hall 27) , Filippino Lippi and Pietro di Cosimo (Hall 28), Lorenzo di Credi (Hall 29 and 30) and Luca Signorelli (Hall 31 and 32). The halls show a total of 43 works (42 paintings and one sculpture), including 14 artworks from the deposits of the Gallery. The artistic itinerary of the new rooms opens with two protagonists of Florentine painting of late fifteenth century, Alessio Baldovinetti and Domenico Ghirlandaio, whose Adoration of the Magi now occupies the space where until a few years ago the Tondo Doni by Michelangelo (now located in the Hall 35) had been located. Hall 27 is dedicated to the Umbrian painter Pietro Perugino, who spent a long time in Florence, and in the Hall 28 were joined for the works of Pietro di Cosimo and Filippino Lippi, which so far are alongside those of the famous father Philip and did not enjoy proper attention. 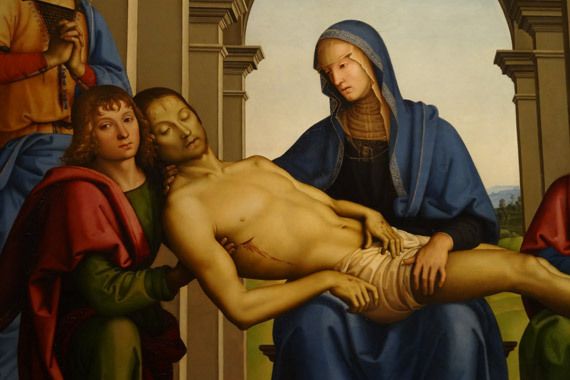 Hall 29 and 30 show some works by Lorenzo di Credi, including the sculpture of the Doriforo. The set-up is closed by the Halls dedicated to Luca Signorelli, Halls 31 and 32, with two “tondi” of the Holy Family, often referred to as the previous Michelangelo’s Tondo Doni. The new set-up of these rooms is a sort of tribute to the artworks and to visitors: each work is the protagonist of its scene thanks to wide spaces, a wider spacing between the paintings that allows visitors to appreciate the masterpieces in all their beauty and without any distraction. The green color of the walls of the halls 25-32 matches that of the rooms 6-7 of Mantegna and Bellini (of the fifteenth century) and is inspired by the paintings of Paolo Uccello and Beato Angelico. A curiosity: the Hall 31 is named “Signorelli and Florence”, because right next to the masterpiece of the artist, you can admire a lovely glimpse of Florence, as a masterpiece among the masterpieces that does not definitely go unnoticed.